by Hilton Hater at January 22, 2014 10:43 am . Updated at June 21, 2016 9:00 am . In May of 2015, Kim Kardashian announced that she is expecting her second child with Kanye West. This is very exciting news, of course, but nothing will ever top one's first. Especially when that one is as precious and as adorable as North West. Say what you want about her parents or about those weird outfits she gets dressed in, but North West is a serious cutie. Need some photographic evidence to back up this point? We've got it! Check out these AWWW-inspiring North West photos now! North West sits on her daddy's lap in this cute photo. It's a side of Kanye West we don't often see. This is a rather cute photo of Kim Kardashian and North West. According to the former, it was snapped at 6 a.m.
How adorable is North West??!? Hate on Kim Kardashian, but give it up here for her child. 4. Morning, Kim and Nori! It's Kim Kardashian and daughter Nori! The former posted this photo online with a simple caption: Good morning. Well, this is downright adorable. Kanye West poses with daughter North West. It's another photo of North West! This little girl really is very cute, don't you think? Ariana Grande Hangs With North West Backstage! It's a New Saint West Photo!!!!!!!!!!!!!!!!!!!!!! Saint West: Kim Kardashian Shares Adorable First Photo! Kanye West and North West: Totally Twinning! Saint West: First Photo Leaked Online?! Kim Kardashian to Hire Therapist for North West?!? Kim Kardashian Baby Photo: It's Technically Here! Kim Kardashian: See Her Post-Baby Body! Kim Kardashian to Twitter Hater: Learn How to F--king Spell! North West Sends First Tweet!!!!! Kris Jenner: I Love Saint West! North West: NOT Happy About Baby Brother Saint! Did Kim Kardashian Change Her Due Date? Kim Kardashian Baby Name: TBD, Supposedly! Kim Kardashian: I Hate Being Pregnant!!! Kim Kardashian: Did She Put Daughter's Life in Danger? Kardashian Kids Klothing Line: Koming Soon! Joan Rivers Blasts North West: You're Ugly! North West and Penelope Disick: Adorable BFFs! Kanye West: North Wants You to Stop Being Mean to Her Daddy! Kim Kardashian: Giving Up on Having a Second Baby? North West Meets Anna Wintour: See the Photo!!! Kim Kardashian Baby Gender: REVEALED? North West Photo Alert: Who is Holding Kimye's Baby?!? North West: Getting Baptized in Israel! Kris Jenner to North West: Happy Birthday!!! North West Birthday Montage: Look Who's 2 Years Old! Kim Kardashian Names North's Godmother: Who Is It?!? North West :DRAGGED Through Airport By Security Guard! Anna Wintour Pities North West, LOVES David and Victoria Beckham's Kids! Kim Kardashian and Kanye West Celebrate Daughter's First Birthday: Welcome to Kidchella! Kim Kardashian Shares North West Birthday Photo: Make a Wish! Kim Kardashian: North West is a Genius! Kim Kardashian Blames Assistants For North West Tantrum? Kim Kardashian Baby Name: Revealed?! Kim Kardashian and Kanye West: Spending $800,000 on North West Body Double? Kim Kardashian Konfirms: North West Takes First Steps!!!!!!!!!! Kanye West Debuts "Only One" Music Video Starring North West! Kanye West Takes Daughter to Work: See the Studio Shot! Kim Kardashian Talks Baby #2 Plans on Keeping Up With the Kardashians: Sneak Peek! North West Makes Modeling Debut: See the Photo! Kim Kardashian: North West Loves Kanye More Than Me! North West Photos: Annoyed! Happy! Adorable! Kim Kardashian: PREGNANT WITH A BOY?! Kim Kardashian & Kanye West: Fighting About North West? North West Makes Like Minnie Mouse: See the Cute Pic! North West vs. Kim Kardashian Staring Contest: CAPTION THIS! Kim Kardashian FORGETS North West at Paris Hotel! Watch Video of Kim Nearly Leaving Her Baby Behind! Kim Kardashian: I Didn't Forget North West in a Hotel! North West Has a Set of Kim and Kanye Dolls! Kim Kardashian Hired a Personal Stylist and Tailor For North West?! North West Goes Easter Egg Hunting: Totes Adorbs! Kanye West: Already Designing a Wedding Ring for North?!? Kourtney Kardashian to Kim Kardashian: Stop Being a Terrible Mom! North West Keeps All Organic Diet, Rocks $50,000 Diamond Earrings: World's Most Spoiled Baby? Kim Kardashian Vows: My Daughter Will Get a Job! North West: Not Allowed on Keeping Up With the Kardashians? Kim Kardashian: Pregnant With Baby Number Two?! Reality Star Drops MAJOR Hint in Latest Interview! North West Dresses as a Skunk for Halloween: Why, Kimye, Why?!? Kim Kardashian Dresses North in Kanye-Inspired Ensemble: All Hail Yeezus! Kim Kardashian Karries North West-Designed Handbag: Watch the Video! Sharon Osbourne: North West's Wardrobe is Sickening! Kim Kardashian Shows Off Dual Sides of Daughter: Serious and Silly! Kim Kardashian: Planning to use a Surrogate For Baby Number Two? Kim Kardashian: Seeking a Surrogate For Baby Number Two? Kim Kardashian: So Thankful for North West! North West in the Bathtub: LOL So Hard! 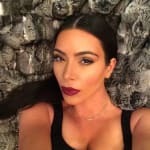 Keeping Up with the Kardashians Recap: Is Rob Kardashian Cut Off? Kim Kardashian Hires Personal Trainer For North West?! Kim Kardashian Has to Have Her Clothes Approved By Kanye West?! Kim Kardashian Photoshops North West's Instagram Pics? North West Scares Away Anna Wintour: See the Pic! North West and Ellen DeGeneres: Unexpected BFF Alert!